I had an incredible time at SwiftSummit last week! Learned A LOT and got the best gift from @NeoNacho! Sign up on their website (or just keep following my newsletter and Twitter) to get alerted when the videos from the talks come out! Should be around a month or so. Meanwhile, here are austenmc's field notes. One thing I don't think about too much, but that @kristinathai included in her talk on How to Build A Compelling Watch App is accessibility. She had a slide with this tweet showing how designing for permanent disabilities (such as for someone who has only one arm) can benefit people with a situational disability (a new parent holding a baby in one arm!). Haven't thought about it this way, but that definitely brings it home. We will all have situational disabilities at some point - thinking of walking through the airport with a hot cup of tea in one hand and rolling my suitcase while trying to use my phone to check my gate!). Thanks @kristinathai for including that in your talk! Oh, and I hope you had a great Haloween! Thanks @allonsykraken for my costume! Many Swift developers in the community were hoping Swift would be open-sourced at the LLVM Dev Meetup last week, but unfortunately we're not there just yet. So while we all eagerly await for "the end of 2015" - yes, open sourcing of Swift (including Linux support) is still on track according to @clattner_llvm himself! - check out these slides about Swift from the creators themselves. Videos should be up in the next 1-3 weeks! In case you missed having two versions of Xcode, the Betas are back!!! No documented Swift changes, but happy to see a few bug fixes and better debugging. You can view the Release Notes here. Should I Use a Struct or Class? For structs vs classes, I also highly recommend this must-see talk by @andy_matuschak: Controlling Complexity in Swift. Written for students and professionals, The Swift Algorithms Book blends modern code, illustrations and computer science to help you pass the interview or build your next app. Perfect for the classroom or the office, the book takes a fresh approach to explain concepts that power search engines, databases and social networks. Use code coupon code THEROBOT at checkout to receive a 50% discount! Redfin in San Francisco is looking for a Senior iOS Developer to join our small, talented team that builds the core functionality of our app to make searching and viewing homes intuitive, addictive, delightful and fun. 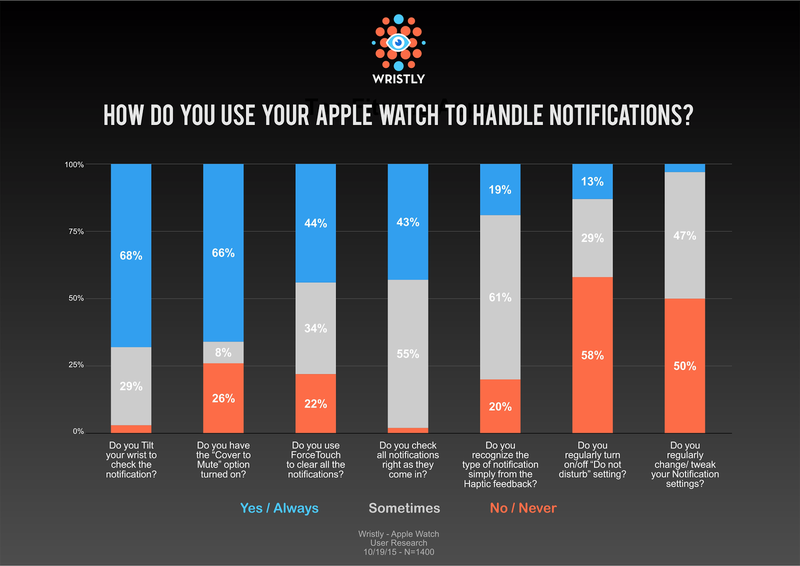 "In our overall assessment this confirms once again that gestures and not screens are the primary user-interface for the Apple Watch and we expect that new watchOS 2.x third-party apps will take advantage of this new metaphor." Love the results from the Wristly surveys. Make sure to also check out The Apple Watch at the Office section. I personally can't imagine living without the Calendar Complication any more! Last week, I discussed the The Plum-O-Meter: Weighing Plums Using 3D Touch in Swift. But why not use the iPhone 6S as a general scale (for small items of course!). Super clever use of a small spoon to calibrate weight here. Too bad this app was rejected from the App Store! I can imagine a lot more possibilities for cooking once the iPad has 3D Touch as well. Using NSPredicate with hard-coded strings always makes me feel awkward (I hate writing code based on hoping it works!). Love this DSL (Domain Specific Language) solution for making a much more explicit and intuitive interface for using NSPredicate. Great Swift inspiration for improving other parts of the Cocoa API! You can view the full source code on Github here. keychain-swift - Helper functions for saving text in Keychain securely for iOS, OS X, tvOS and watchOS. QueryKit - A simple CoreData query language for Swift and Objective-C.
PhoneNumberKit - A Swift framework for parsing, formatting and validating international phone numbers. Inspired by Google's libphonenumber. Blog post here. A great distinction between libraries vs frameworks: "You call a library, but a framework calls you". Build great libraries! A super short video (only 10 minutes) on how to use the DVR library (in Swift) for testing JSON responses from the API. "Easy dependency injection is the main design goal. The API is the same as NSURLSession. DVR.Session is a subclass of NSURLSession so you can use it as a drop in replacement anywhere. (Currently only data tasks are supported.)" "With this upcoming update, we sought to be contextual, even predictive at times. If noon rolls around, you probably want to see the lunch menu. If you are ordering something from a supplier, chances are you would like to have access to your inventory that’s out of stock." Apps on the Apple Watch should be leading contextual design. Work smarter, not harder! And take care of yourself! "A high performer knows their self-worth and can thus work with a sense a freedom. This comes from doing periodic self-evaluation of their performance so that they can constantly improve. They create their own feedback loops rather than waiting on feedback from others." I find myself to be more productive on the road. Love these tips! The constraints of wanting to do other stuff, wifi limitations, work space, long travel time (I prefer 7+ hour plane rides vs short ones!) all add up to being focused and efficient. When I'm at home with unlimited time, comfort, and resources, I tend to just procrastinate!